Sculpture of Lapiths and Centaurs battling from the Metope of the Parthenon on the Acropolis of Athens. South Metope no II. Also known as the Elgin marbles. British Museum London. The Lapith holds a Centaur by the throat. 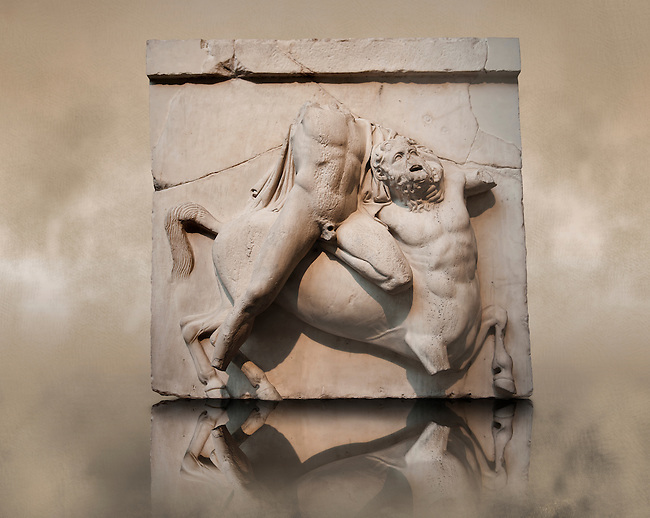 The diagnal of the Lapiths body across the Centaur is often used in Greek Classical art to depict strife.